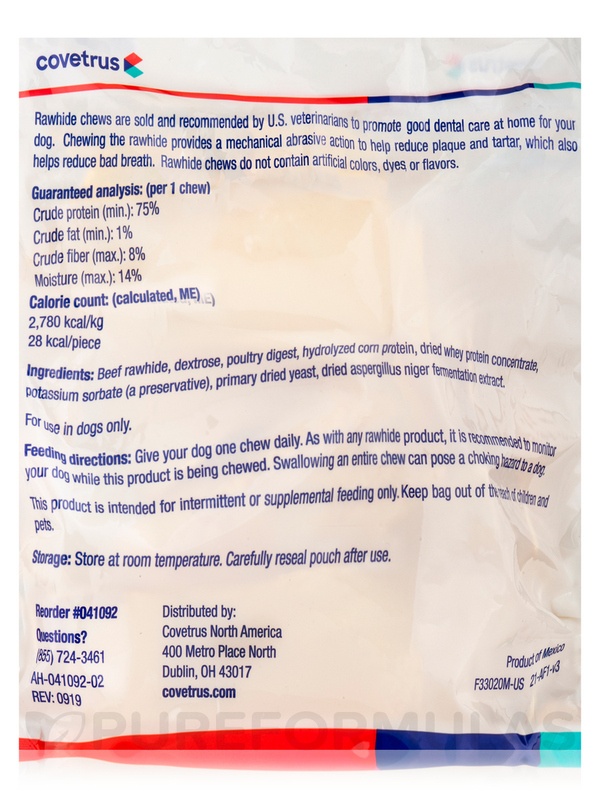 Enzy Chews by Butler Schein are made in the USA, which is very important to begin with. Our dogs know when I open the bag and they come running. I know they are safe because our vet sells them in his waiting room. Our Vet recommended Enzy Chews Poultry by Butler Schein. While we have not used long enough to see if good for teeth or not...the dog loves them and unlike other chews they do not turn into bad food like rawhide etc. Both of my dogs like Enzy Chews Poultry by Butler Schein and my vet recommended them. Recommended to help clean teeth and freshen breath due to the abrasive nature of the chew. 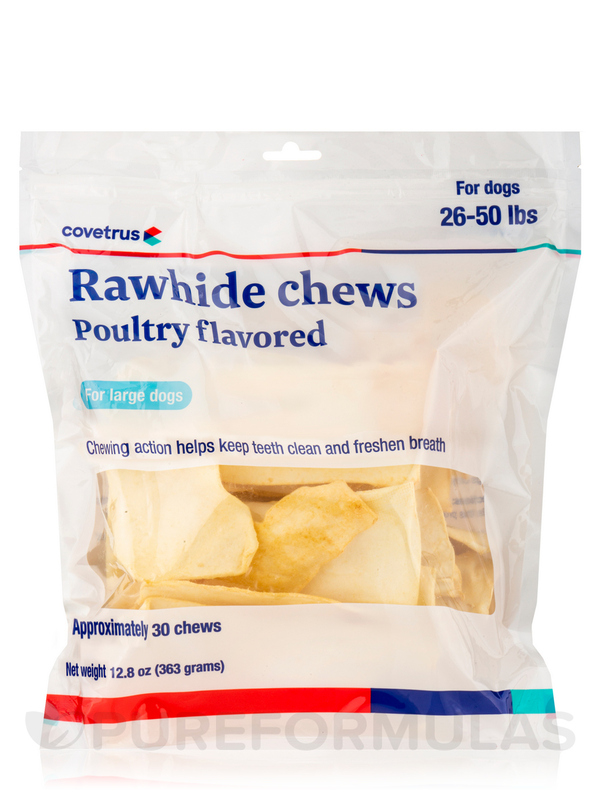 The palatable poultry flavor makes Enzy-Chews a real treat for dogs. Ingredients: Beef hide‚ dextrose‚ poultry digest‚ hydrolyzed corn protein‚ primary dried yeast‚ potassium sorbate (a preservative)‚ dried aspergillus niger fermentation extract‚ dried whey protein concentrate. Give one chew daily for dogs under 10 lbs. It is recommended to monitor your dog while this product is being chewed. Swallowing an entire chew can pose a choking hazard to a dog. This product is intended for intermittent or supplemental feeling only. Carefully reseal pouch after use. 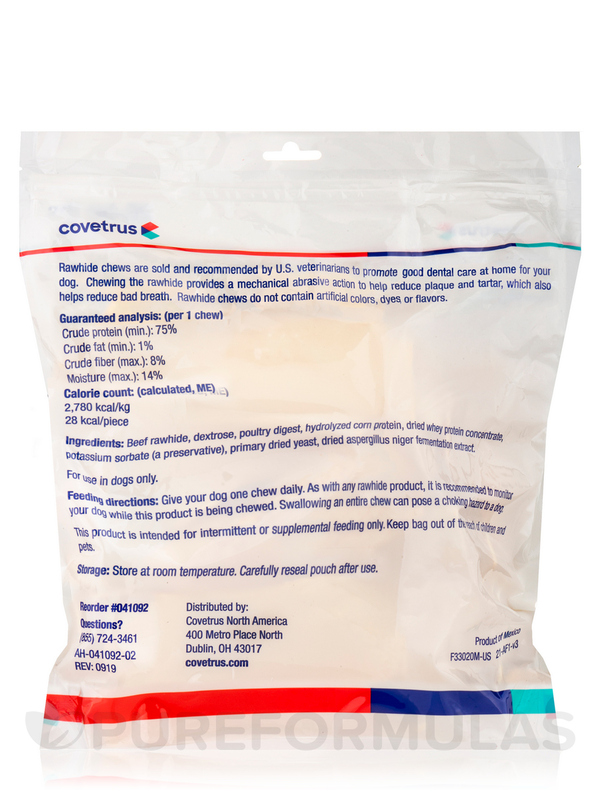 My vet recommended Enzy-Chews Poultry Flavored for Dogs by Butler Schein to help with my dog's dental health. My dog gets one a day, and she loves them. My dog is very happy with these chews. They're large enough. Made in the USA, and my dogs love them! I don't dislike anything about this product. Great for teeth and good for dog! Do not know whether it does what it says in cleaning teeth. Vet recommended and dogs enjoy them. My dogs enjoy them and they are good for them!! I purchased Enzy Chews Poultry by Butler Schein primarily because it's our favorite CET Chews had become very hard to find. Seems to be a comparable substitute. My pup begs for Enzy Chews by Butler Schein each morning. His teeth are so clean. And, he loves it! His teeth are so clean.